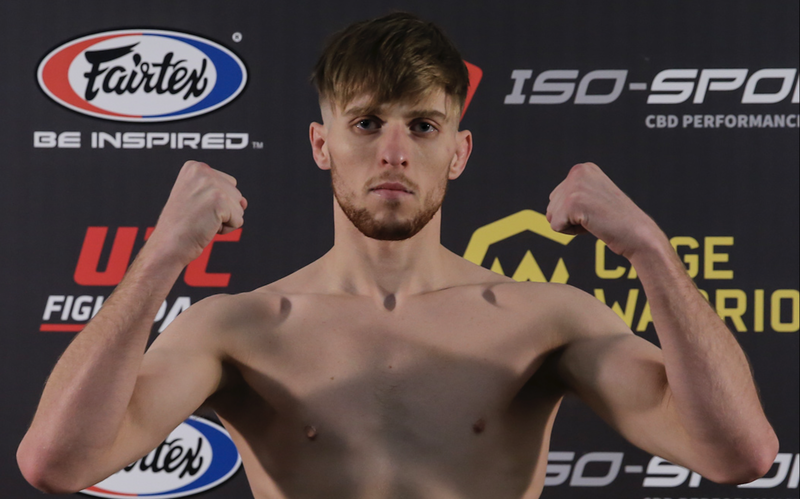 All results from yesterday’s CW97 Iso-Sport weigh ins at the Ice Arena Wales in Cardiff. The stage is set for the biggest MMA event in Welsh history here in Cardiff. Yesterday, it was announced that Omer Cankardesler was removed from the CW97 card due to a failed medical examination. Welsh super-prospect Jack Shore will now move up a weight class to face the Brazilian Weslley ‘Pia’ Maia in a featherweight non-title bout. Despite the change in opponent, an electrifying atmosphere is expected when tomorrow night’s main event kicks off in front of a sold-out crowd in Wales’ capital city. The CW97 co-main event will go ahead as planned, as Mason Jones and Kacper Formela successfully came in at 155.9 lbs and 154.6 lbs respectively. Former title challenger Brian Bouland made 135.9 lbs successfully for his bout with Welshman Kris Edwards. Edwards weighed in over the bantamweight limit at 136.9lbs and will be fined 50% of his purse. Bouland knocked out Edwards’ teammate Josh Reed at CW91, so there’s redemption at stake as well as glory in Cardiff tomorrow night. 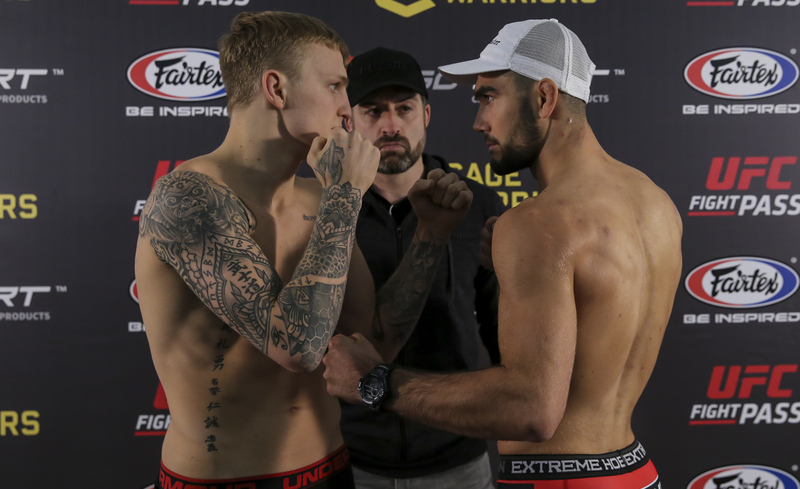 Another hugely exciting clash – and the early critics’ pick for fight of the night – takes place between Jamie Richardson (172.2 lbs) vs Aaron Khalid (171.2 lbs), both coming in under their catchweight limit of 173 lbs. In the women’s straw weight division, young Welsh up-and-comer Cory McKenna (115.8 lbs) faces a stern test in Italy’s Micol DiSegni (115.4 lbs). The CW97 Main Card (from 9pm) will be broadcast live on BT Sport 1 and UFC Fight Pass, with the pro prelims streamed LIVE and FREE from 7pm via The Sport Bible Facebook page. Want to pick up our latest magazine? Enter your postcode below to find your nearest stockist. © 2019 Fight-Scene - All Rights Reserved.